Lord Krishna made an indelible impression upon mankind's collective consciousness—re-educating the world about devotion and dharma as well as the ultimate reality. He took to the human garb on Planet Earth to annihilate the philosophies of world that were against spirituality shunning and adored materialism. He established the “Dharmarajya”, the Kingdom of the Inner World. He restored the true spirit of Kshatriya heroism, motivated not by human ego, but by Divine Will, making man a devoted and active instrument of the Supreme. He educated the people about the consciousness the Supreme Truth that human life, being inherently divine, must be made divine from all ends fully and totally, in every sphere and in every aspect. 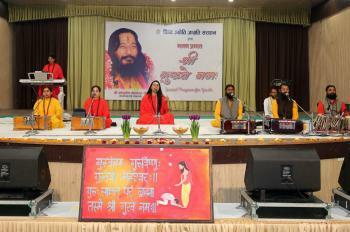 To bring spiritual awareness amongst people about the purpose of life, Divya Jyoti Jagrati Sansthan (“DJJS”) under the guidance of Shri Ashutosh Maharaj Ji organised a program of Devotional Concert, “Bhaja Govindam” at Patiala, Punjab on 23rd June, 2018. 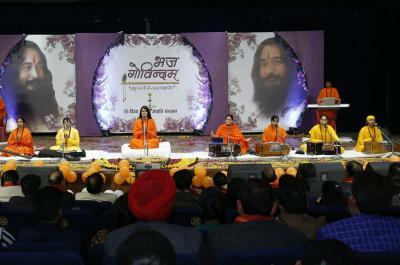 The program unfolded the inner awakening experience for the audience through the series of divine bhajans filled with meaningful lyrics and boundless devotion for the Supreme. 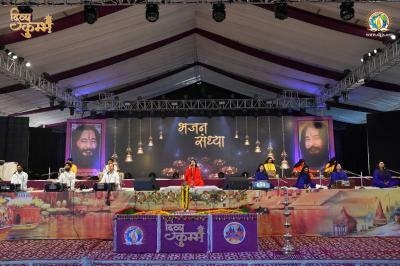 The spiritual orator of the day, Sadhvi Sumedha Bharti Ji enlightened the audience about the teaching of Shri Krishna. During the Battle of Kurukshetra, Krishna gave Arjuna the immortal spiritual discourse of the Bhagavad Gita. Krishna taught a spiritual path of wisdom, devotion and discrimination. The central message of Shri Krishna was to instruct humankind to take part in desire-less action, motivated not by human ego, but for the Divine cause thereby guiding for ultimate goal of human life which is inquiry into the Truth, and not the desire for secular, materialistic enjoyments. Those who possess the knowledge of the Truth, know that the acquaintance with non-duality as the Truth. For the not awakened soul, it is impossible to realise the real purpose of life and one remains under the captivity of the web of negativities, ambiguities which lead to utter confusion regarding this life and the working of destiny. Such negativities can easily be turned into everlasting positivity through the divine spark of true knowledge bestowed by the Perfect Spiritual Master, which brings new light of hope, happiness and prosperity. 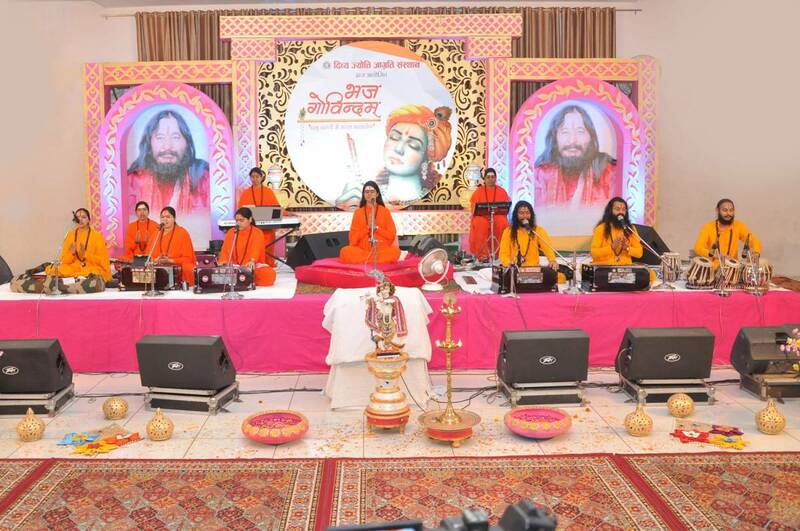 The orator further articulated that this epoch is fortunate to have revered Perfect Master Shri Ashutosh Maharaj Ji, who is one such Spiritual Guru, who is benign and imparts ‘Brahm Gyan’ to the genuine Spiritual aspirants. His potent directions reconcile worldly and the spiritual life of an aspirant, who then enjoys each moment of his blessed life. The program concluded with the message of “Brahm Gyan-the science of human transformation from within”. 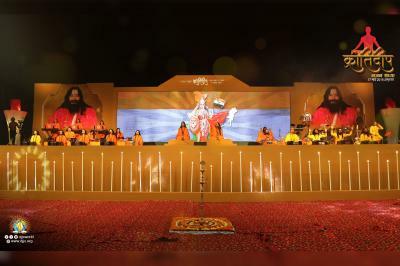 The event thus proved to be a spiritual delight for the inquisitive souls and helped them to conquer the malicious mind-traps and transform them into positive channels of divine.